Been busy so I'm late here with this. So for those who haven't heard I apologize on making you lose a few days. You may have seen this post in DHN and EQD as well, just don't mind the typo. /fic/ has its fair share of writers so if any of you got the writing chops or want to try their hand at vertical writing then go for it. If anyone has questions I'll be checking this thread regularly so I'll try and keep you guys informed as best as I can. You can also try the email, tumblr, and our /collab/ thread which is provided in the link. Note: The /collab/ thread link is in the FAQ. > 1. All entries must be 15 pages or less. The cover sheet is not included as a page. > 2. All stories must be similar in style, tone, and spirit to the original show. This means no grimdark, shipping, or other content that ventures too far from the canon. > 3. Fanfiction is allowed to be adapted into a screenplay so long as they don’t break rule 3 and you have the authors’ permission. You mean rule 2 here though. I'm sure you get that all the time. > 4. All contestants must submit a PDF file in screenplay format. > 6. 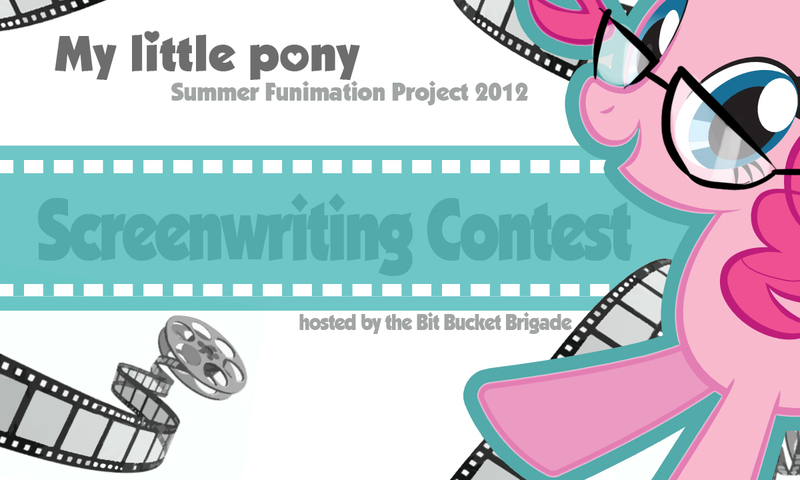 You can submit more than one entry if you have the time. > 7. The final day for submission is Friday, June 8. Do you actually have anything specific in mind or is it just "We want a writer to make a fanfic suitable for animation"? But yes, the point of this is? >Do you actually have anything specific in mind or is it just "We want a writer to make a fanfic suitable for animation"? We have most of the crew positions filled out, but as a way to get the fandom into this, we've decided to let them write a screenplay for us. Yes I am very well aware of the name. It is what it is can't dwell on it now, and not we shouldn't be getting in trouble for it. >But yes, the point of this is? To generate content. We've got this vast pool of talent going about doing their own thing. With this project we'll get it all in a melting pot and focus it into a visual medium. If you're feeling doubtful, you have every right to be, but you shouldn't. This project is being helmed by experienced individuals and in good hands.